Charleston, WV – The Greater Kanawha Valley Foundation (TGKVF) Board of Trustees approved the distribution of twelve grants totaling $314,107 at its June 21, 2017 meeting. Women’s Health Center of West Virginia, Inc. received funding for the Oral Health Education and Dental Care for Low-Income Pregnant Women and Veterans project. “Olivia,” pregnant with her first child, disclosed to her case manager that she had bleeding gums, sensitivity to hot and cold foods, nausea, and vomiting associated with her pregnancy. Her case manager made a referral to West Virginia Health Right and Olivia had her first dental cleaning in over five years. Not only is she feeling more confident because her teeth are clean, she also knows that she is providing better care for her unborn child since there is a strong correlation between dental health and pregnancy. Olivia reported a reduction in the frequency of gum bleeding as she is now brushing more frequently and flossing her teeth. 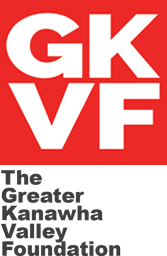 TGKVF awarded six responsive grants, totaling $121,500, to Basic Needs and Arts & Culture programs.  The Foundation’s Education, Health, and Community Economic Development (CED) priority areas awarded six grants totaling $192,607. Camp Appalachia, a new afterschool program for elementary-aged youth in South Charleston, will provide academic and therapeutic assistance to at-risk children. Students will receive tutoring and homework help, use art, music, and theater to express their emotions through play therapy, learn behavioral modification through trauma-informed therapy, and receive a nutritious meal. Funding will support an AmeriCorps VISTA match, scholarships, and a natural playground. Families Leading Change is a statewide grassroots movement with allies across the education system looking to support, fund, and train families who want to make their hometown schools stronger (projects range from a fatherhood engagement initiative to a college readiness program and school-based mental health services). Funding will support mini-grants to parent-led school teams and family capacity-building training. Accent Education, an afterschool and summer enrichment program, serves rural, at-risk students in the Upper Kanawha Valley and western Fayette County region. Through this third year renewal grant, the program will provide core academic support with a STEAM emphasis for students and their families in a safe environment. Funding will support staffing, supplies, and administration. For a second year, this funding will cover the Community Schools Health Care Coordinator (School Nurse) at Mary C. Snow Elementary School. The coordinator will serve as a liaison between school, Kanawha County Schools Dental Clinics, Family Care Health Clinic, Handle with Care, Legal Aid, and WV Department of Health and Human Services to engage and educate the West Side community regarding preventive practices and resources to improve total health. Women’s Health Center of West Virginia and West Virginia Health Right will provide oral health literacy education and dental care access to low-income pregnant women and veterans through a collaborative partnership. This is the third year of funding for this renewed grant; funding will support staffing, travel, equipment, and administration services. The Ten50 Business Accelerator drives innovation and entrepreneurship, economic development, and ultimately job creation by supporting early-stage and growth driven companies. Ten50 supports companies through seed funding, office space, software perks, education, mentorship, and preparation for outside financing. The process compresses years’ worth of learning-by-doing into just a few months. TGKVF funding will support rent, utilities, travel, training, and contracted services. Heart & Hand Community Service Center provides emergency basic needs assistance for vulnerable residents of South Charleston and Putnam County areas. Funding will support emergency service programs aiding low-income families with their basic needs of shelter, food, clothing, baby supplies, and clothing requirements for employment. Charleston Ballet funding will support the 2017-18 Season and assistance with guest artist expenses for ten programs throughout October, December, and March. All performances exhibit educational and cultural diversity components and have mass appeal to all ages and economic levels including BALLET FOR ALL and 21st Century Learning Programs. The Kanawha Valley Fellowship Home, Inc. (KVFH) is a transitional home for men in recovery from addiction. The home provides shelter, food, and assistance with productive healthy habits through structured accountability. 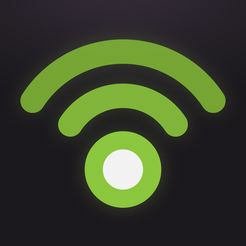 Funding will support the KVFH’s utilities, food, and rent. REA of Hope, a recovery home for women, fosters recovery from alcohol and/or drug addiction and promotes self-sufficiency. Funding will support utilities, which allows REA of Hope to provide safe, affordable housing for West Virginia women in a positive homelike environment. Funds will support operation and essential services costs associated with providing emergency housing, basic needs, and an array of comprehensive support services to individuals and families experiencing homelessness in the community. Sojourner’s primary goal is to provide the education, tools, and resources for participants to become self-sufficient and stably housed. Funding will support expenses related to engaging Charleston’s West Side community as performers and participants in Symphony Sunday. Through this event, the WV Symphony Orchestra aims to share the transformational power of music, raise cultural awareness, and demonstrate that participation in the arts can be a lifelong pursuit whether as a hobby or a profession.